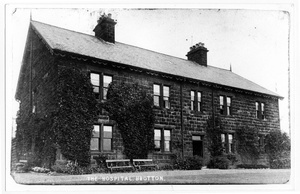 Built in 1874 by Bell Brothers local mine owners as the Miner’s Hospital; according to Bulmer’s Directory in 1889: the hospital had accommodation for 17 patients and Bulmer’s records: ”During the last year 75 persons received the benefit of the institution. It is under the care of the Sisters of the Holy Rood from North Ormesby.” The building has now converted into houses. Photograph courtesy of Cleveland Ironstone Mining Museum. We have been going through my father-in-law’s possessions and have come across a silver tea set in the name of Sister Arabella, 25 years of service by the workmen at Brotton. Carlin How, Huntcliff, Kilton, Lumpsey and North Skelton mines. 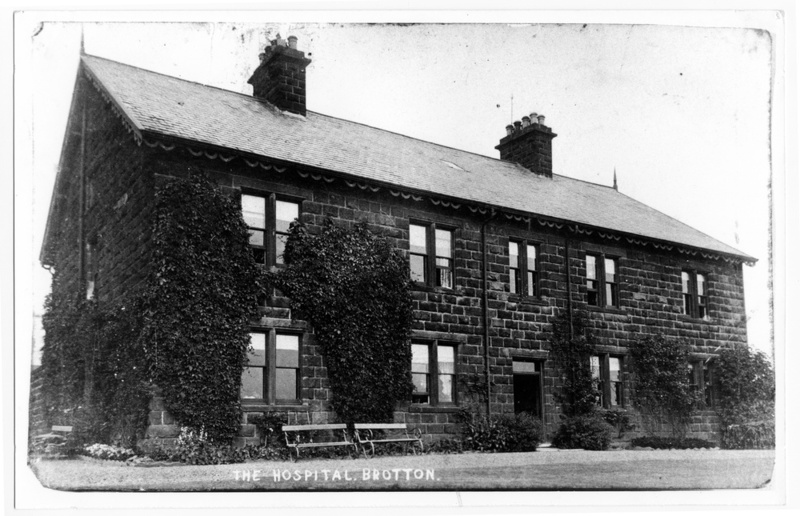 Brotton cottage hospital April 1901. Would really appreciate it if you could find any other information on her, she is obviously a distant relative. Thank you, Allison and David Bates.